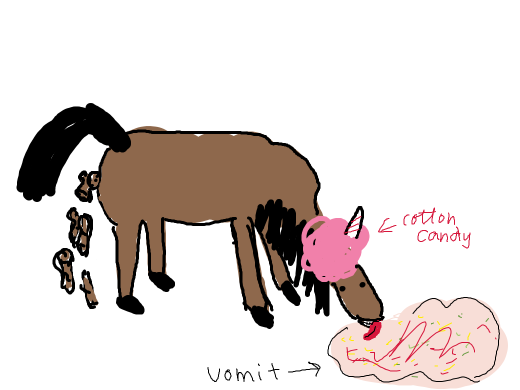 Unicorn pooping & barfing rainbows. Well... didn't expect that coming. 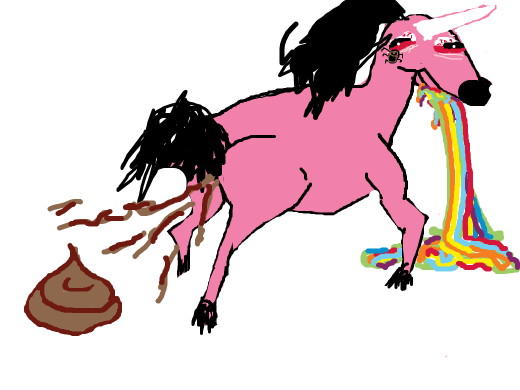 A unicorn throwing up rainbows and pooping at the same time. A bug crawls unto a pink unicorn's eye; it then begins to poop and vomit rainbows in fear. A unicorn ate some magic mushrooms and turned into a magical unicorn.